I really love new things, new foods, new products, new tips, new ideas…new philosophies on life – you get the idea! And I hope that I can give you a little snapshot of my new favorite things weekly. Who knows what I can come up with – let’s get started! Kefir. I have been drinking this for a little while – and love it. It is a drinkable yogurt superfood that is a probiotic consisting of bacterial and yeast. It is a great source of vitamins, protein and minerals (and is super good for your digestive system)! You can read more about it here. 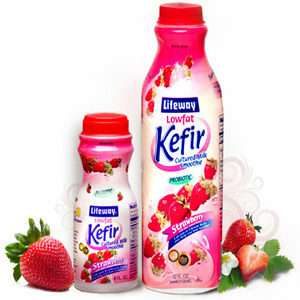 I buy the lowfat strawberry Kefir by the company Lifeway. You can find it pretty much anywhere – I get it at Aldi. Until now, I have been just using it in smoothies or just straight up drinking it. BUT. This week I started using it in cereal (instead of milk or regular yogurt). It is AMAZING. I pour it in a bowl (about a 1/2 cup) and top with my favorite cereal. Try it. My nail color crush this season is OPI’s Gargantuan Green Grape (this picture makes it look a little more neon than it is). I really hate the name – but I really love this season’s mint trend, so I can’t wait to try it! My favorite nail that I am wearing this season is OPI’s Cajun Shrimp. Its the perfect bright coral and goes with everything. *3/20 Update: Gargantuan Green Grape is much more neon than mint! I still can’t wait to try it. For a mint option, try OPI Go On Green! My new favorite company hands down is The Honest Company. I am obsessed with what Jessica Alba is doing. Her beautiful organic products amaze me and I just am fascinated by her website. I haven’t ordered anything yet, but will let you know if/when I do. 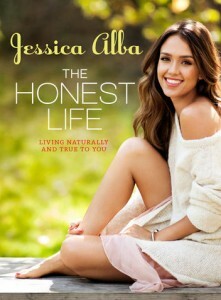 Her newest release is her book The Honest Life. This will definitely be my next read. Isn’t it just beautiful? I am recommitting myself to Jillian this spring. I have started her 30 Day Shred before, but this past month I have been super faithful with it. It feels so good – and makes me excited for summer and bathing suit season! I love her simple, short (30 minutes), comprehensive (strength, cardio, abs) approach. It’s no-nonsense and works you hard! I love keeping a journal, but sometimes I don’t have time, energy, or the wherewithal to keep it up. I do, however, keep a pretty comprehensive calendar/menu planner/notebook/day-timer (more on that another time). Recently I have started adding this “Currently” list to my little book and I love it. My list doesn’t look like this, but I do try to fill it out per week (per day is a little too ambitious). These are the categories I have added: reading, loving, trying, wondering, and writing. It’s a fun way to look back on what is going on in my life. Maybe one day I will post one to give you a little picture of me :).